US President Donald Trump and the North Korean leader, Kim Jong-un’s summit in Singapore is historic over the fate of North Korea’s nuclear war threat. The pair would discuss a “permanent and durable peace-keeping mechanism” on the Korean peninsula. Denuclearization of the peninsula and other issues of mutual concern are at stake. As this happens, Bongbong Marcos releases his video that inspires Filipinos to gear up into something bigger than themselves. 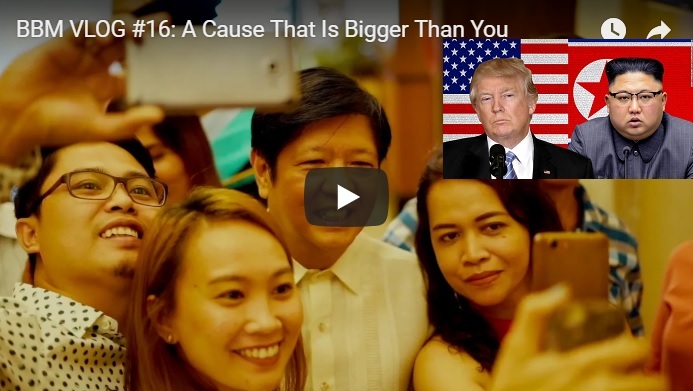 [VIDEO]: BBM VLOG #16: A Cause That Is Bigger Than You. The first meeting between an incumbent US president and the leader of North Korea has lots of compromises. Trump lowers the bar from initially demanding Kim to agree on immediately relinquishing North Korea’s nuclear arsenal to saying that it relies on how the summit progresses which could be the first of many. 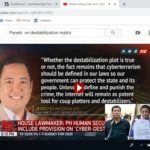 While Kim has said he supports “complete denuclearisation of the Korean peninsula”, he has yet to articulate specific demands, and experts warn the process could take years. But the meeting alone has been a boon for Kim, who only last year was seen as an international pariah by threatening nuclear war. 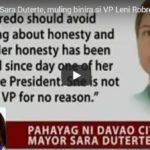 The likely real Vice President of the Philippines urges Filipinos to unite including his political enemies. He knew that he is going to lead the country soon. It’s just a matter of time. Leading the nation is not just a job or advocacy for him but a mission that only him can fulfill. The late President Ferdinand Marcos, Bongbong’s father made sure that the country’s progress can happen in time for his son to manage. 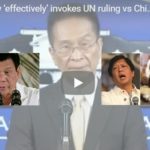 The current world development between the US and China that involves China and Russia coincides with the big change that is about to happen in the Philippines. 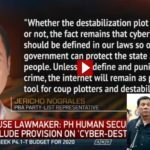 The younger Marcos now prepares his people to think and act as a global player.